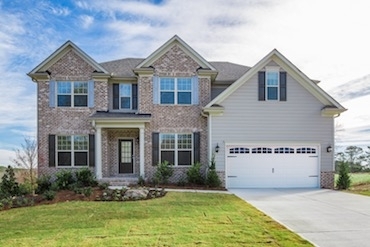 New Homes at Mill Creek Preserve in Gwinnett County built by Taylor Morrison! 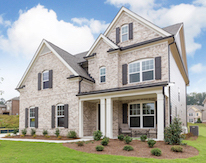 Situated in Gwinnett County's Dacula, a unique small town with hometown appeal, Mill Creek Preserve features 65 thoughtfully planned and beautifully designed single family homes on large wooded homesites with easy connectivity to I-85, Athens and Downtown Atlanta. 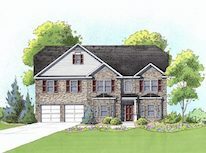 Priced from the low $300s, Mill Creek Preserve offers a selection of five two-story floor plans ranging from approximately 2,660 to 3,490 square feet of living space, plans include up to 5 bedrooms, 3 baths, two-car garages, fireside family rooms, spa-inspired deluxe owner's suites with dual vanities and soaking tub, gourmet kitchens and more situated on gracious wooded homesites. Residents at Mill Creek Preserve enjoy easy access to State Route 20 and I-85 for work or play. 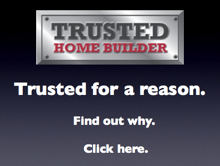 Live just a short drive away from the North Georgia Mountains or an easy commute to Athens, Alpharetta and Downtown Atlanta. Youare also minutes from award-winning Gwinnett County Parks & Recreation Department - Duncan Creek Park with its skate park, athletic fields, basketball courts, pavilion and playground, and Little Mulberry Park with its 18-hole disc golf course, 5.5 mile-long trail system, lake, play award-winning Gwinnett County Parks & Recreation Department - Duncan Creek Park with its skate park, athletic fields, basketball courts, pavilion and playground, and Little Mulberry Park with its 18-hole disc golf course, 5.5 mile-long trail system, lake, playgrounds and pavilions rounds and pavilions. For more information on these new homes at Mill Creek Preserve, call Taylor Morrison at 770-214-4903.